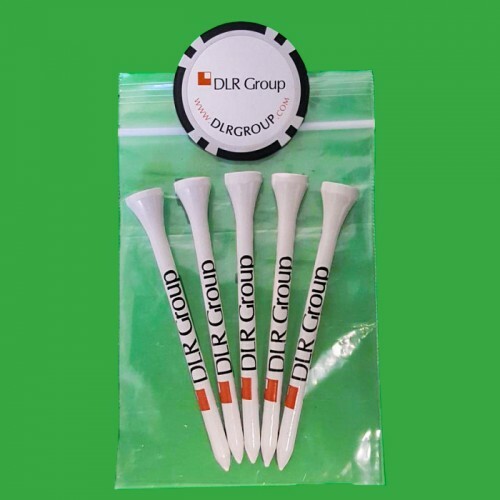 Our custom golf tee combo pack with five imprinted 2 3/4" golf tees and one personalized poker chip golf marker. Heat Sealed polybag with a 1-color logo on golf tees and full color on poker chip markers. View our full collection of poker chip golf ball markers and our custom poker chips at Custom Made Casino.